A tragic collision occurred just north of the Southern Boulevard exit on Florida’s Turnpike in Palm Beach County. A 68-year-old man pulled his 2006 Dodge Ram 2500 pickup truck off onto the right shoulder of the northbound lanes. He got out and was next to the trailer while his wife remained in the truck, according to the Miami Herald. 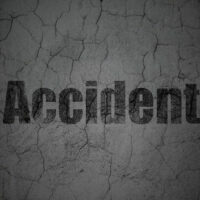 Suddenly, a tractor-trailer swerved off the road, colliding with the 68-year-old man and his truck, killing him instantly. The driver of the tractor-trailer also passed away. Reports indicate that the wife of the 68-year-old man saw the entire horrific event. No words can properly encapsulate the pain and trauma associated with such a tragic incident. Losing a loved one is always difficult, but seeing it happen with your own eyes is a scar that may never fully heal. Filing a lawsuit can be an intimidating, and potentially overwhelming thought for many people who lost a loved one. They are stressed and often scared about what the future holds now that their loved one is gone. This is why retaining a Miami wrongful death lawyer makes sense. A lawyer can take the burden off your shoulders of investigating the accident, talking to witnesses and police, compiling evidence, filing the necessary claims, and so forth. Loss of guidance and counsel for the decedent’s children. Generally, a personal injury claimant has four years to file a lawsuit in Florida. However, the Florida Wrongful Death Act contains a much shorter, two-year statute of limitations. This means you have two years from the date your loved one passed away to file a lawsuit. If you fail to file a lawsuit within two years, your case could be thrown out by a judge. Many clients are intimidated by the thought of a jury trial and having to testify. This is understandable. Keep in mind that many cases, even after a lawsuit is filed, wind up settling out of court. No guarantee can be made that your case will settle, but it is important to understand that there will likely be opportunities to engage in settlement negotiations with the negligent driver’s insurance company. If they make a fair and reasonable offer, you are empowered (with the counsel of your attorney) to accept the settlement. If you are not pleased with the amount offered, your lawyer should be ready and able to take your case to trial. Alan Goldfarb, P.A. is ready to help you and your loved ones. We are experienced personal injury and wrongful death lawyers with nearly four decades of experience. Contact our Miami wrongful death attorneys by phone at 305-371-3111 or toll free at 866-936-9761 to schedule a free consultation.